We enter the final two days of the week with many matchups coming down to the wire. There are a number of injuries to consider, meaning subsequent streaming is going to be crucial. 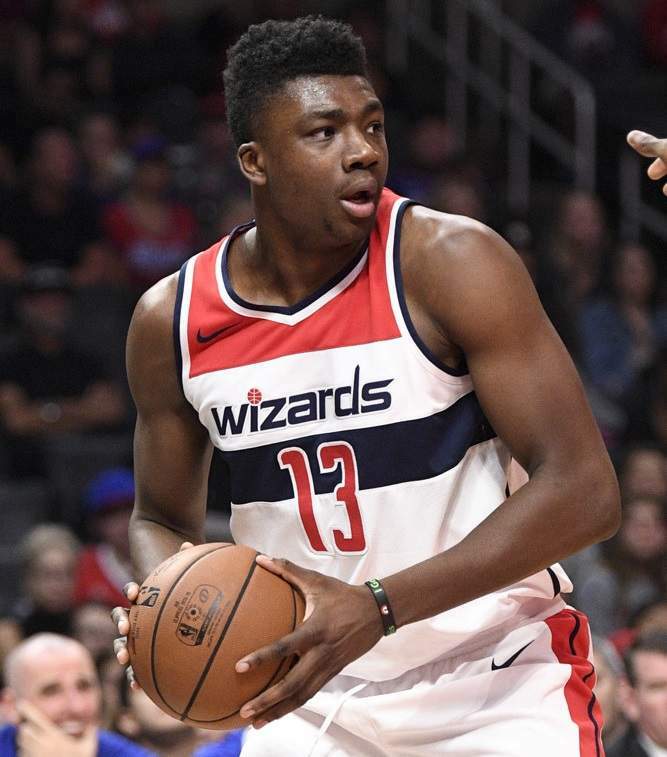 The Wizards are all but done in terms of post-season basketball and head coach Scott Brooks recently announced Thomas Bryant will be the starting center moving forward. He had a strong performance in his last game, putting up 22 points, eight rebounds, and two blocks in 35 minutes. If the playing time is going to exceed 30 minutes on most nights, he is certainly a player that should be rostered in all formats. The Celtics will be without Al Horford and Gordon Hayward but should still see this as a game they will win. A victory would bring them level with the Pacers and the fourth best record in the East. Marcus Smart will play for the Celtics after avoiding a suspension. He was fined $50,000 for pushing Joel Embiid in their last game and there had been a fear he could miss a game. Despite the two injured players, there are no real pickups and owners should look to stream elsewhere. The Hornets currently sit 10th in the East and need to win this game to keep their chances of playoff basketball alive. They are coming off a win in Minnesota but will face a Celtics team intent on winning. Cody Zeller is going to miss his sixth straight game which certainly leaves a hole in the middle for the Hornets. Neither Bismack Biyombo or Willy Hernangomez have been consistent enough for streaming purposes. The Heat are coming off a big loss to the Bucks and will be seeking a victory to keep them in the playoff race. After two strong performances, James Johnson regressed Friday, ending the loss with just four points in 25 minutes. Johnson has limited fantasy upside and there are likely better options available on most waiver wires. It is reasonably safe to say that the Wizards playoff chances are now gone, meaning Trevor Ariza is likely to miss Saturday’s game. Head coach Scott Brooks has stated that Thomas Bryant is going to be in the starting lineup moving forward, and if his last performance is anything to go by, he should be added in most leagues. He played 35 minutes in the loss, finishing with 22 points, eight rebounds, and two blocks. The 76ers have won seven straight games, putting together an impressive streak much as they did last season. They will face a Hawks team who could put up little resistance, however, they are not to be taken lightly. The 76ers are now running at full strength and looking to build on their chemistry heading into the playoffs. As long as they have their full complement of players, streaming anyone is almost impossible. The Hawks are coming off an impressive victory over the Jazz and will be looking to continue their giant-killing ways Saturday. Kevin Huerter has been better over the past couple of weeks, although, his production remains inconsistent. He doesn’t offer a lot of upside at this stage but could be looked at if you need three-pointers. After putting together a five-game winning streak, the Jazz fell to the Hawks in a game they certainly should have won. They face a Bulls team Saturday, that they should also defeat and chances are they don’t take this game too lightly. Every game is important for the Jazz as they make a late-season push for a top-four spot. Kyle Korver hit just one three-pointer in the loss to the Hawks but should get things going again Saturday in a favorable matchup. The Bulls have listed almost their entire team as questionable and so Shaquille Harrison could have value as a steals streamer. He has a combined 11 steals in across his last four games and has scored in double-digits in two of those games. He has played over 30 minutes in two straight games and should be on the radar in standard formats. Jeff Teague, Derrick Rose, and Robert Covington have finally been ruled out for the season. This had been coming for a number of games and now that the decision has been made, Tyus Jones becomes a must-roster player. He had 14 points, seven assists, and two steals in his last game, and has played at least 29 minutes in four straight games. The Grizzlies are on the second night of a back-to-back set, coming off an overtime loss to the Magic. Avery Bradley is going to miss at least the next week and Mike Conley is questionable after resting the previous game. Delon Wright is basically a must-roster player now and over the past eight games is averaging 12.4 points, 4.5 rebounds, 4.6 assists, and 1.4 steals. Tim Hardaway Jr. has been ruled out for the season after tests revealed a stress reaction in his leg. This is certainly not a good sign after Hardaway suffered through a similar injury last season. Justin Jackson has put up big numbers over his last two games but performances such as these typically come on unsustainable shooting. When his shot is not falling, he offers very little to salvage any value. He is more of a points streamer in competitive formats but even that could be a stretch. Steph Curry is going to miss Saturday’s game due to rest which will likely see Quinn Cook move into the starting lineup. Cook has shown before he can have standard league value when Curry is on the sidelines meaning he should be on the radar as a potentially strong streaming option. The Pistons have won three of their past four games and will certainly believe they can go into Portland and cause an upset. Wayne Ellington has been a perfect fit for the Pistons since being traded and is averaging 24 points including 6.5 triples over his last two games. Obviously, these numbers are unsustainable but he is typically an elite perimeter scorer and clearly has the green light to shoot the ball at will. The Trail Blazers are winners of five of their past six games despite the loss of C.J. McCollum for what could be the rest of the regular season. There is no clear pickup in his absence but Moe Harkless has certainly stepped up. He has scored in double-digits in three consecutive games, adding multiple steals and blocks in two of those. He doesn’t have the highest ceiling but is playing decent minutes and typically provides solid defensive numbers. Kelly Oubre Jr. is out for the season after undergoing thumb surgery, and Josh Jackson could miss Saturday’s game with an ankle injury. Mikal Bridges has played at least 37 minutes in four straight games and is basically a must-roster player. 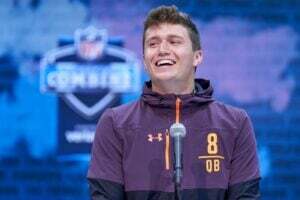 His ownership currently sits at about 54 percent but that will likely rise over the coming days. His value comes from his elite steal rate and even that has been down of late. If he manages to get those numbers back up, he should be serviceable standard league asset the rest of the way. The Kings have been alternating wins and losses over the past few games and this trend could continue moving forward. Outside of an injury to Harry Giles, the Kings are relatively healthy and the only real concern has been the recent play of Bogdan Bogdanovic. He has seen his production fall rapidly over the past two weeks, scoring in double-digits just once in his past five games. He has been struggling from the field and the lack of playing time has reflected his ongoing issues. He may have been dropped in a number of leagues and with a back-to-back set coming over the weekend, could be worth grabbing in case he can get hot again.